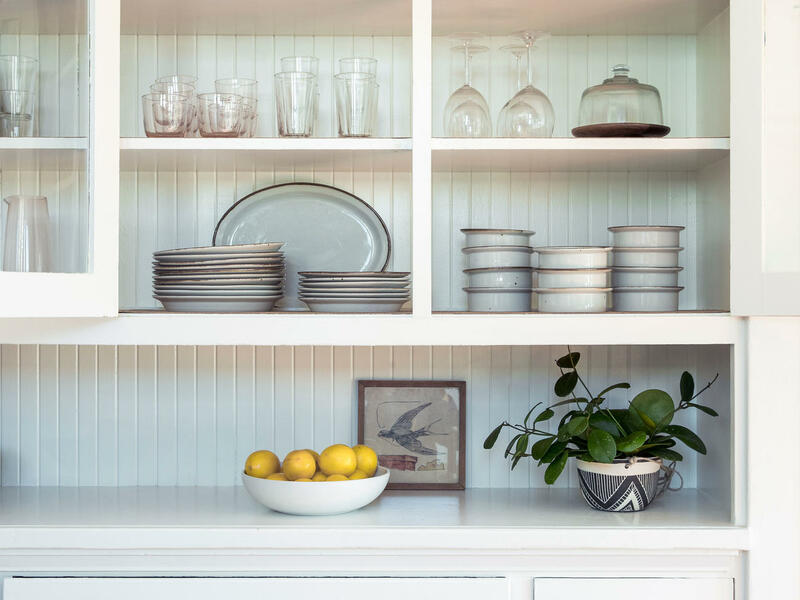 Open shelves in the kitchen (above) provide an opportunity to turn storage into artful display. Take the eye-catching serving dishes placed upright and the colorful bowls grouped together here. Don’t want to go digging under the kitchen sink for the dust pan again? Upgrade to a nicer-looking model that will look good hanging on a rack. Your knees will thank you. 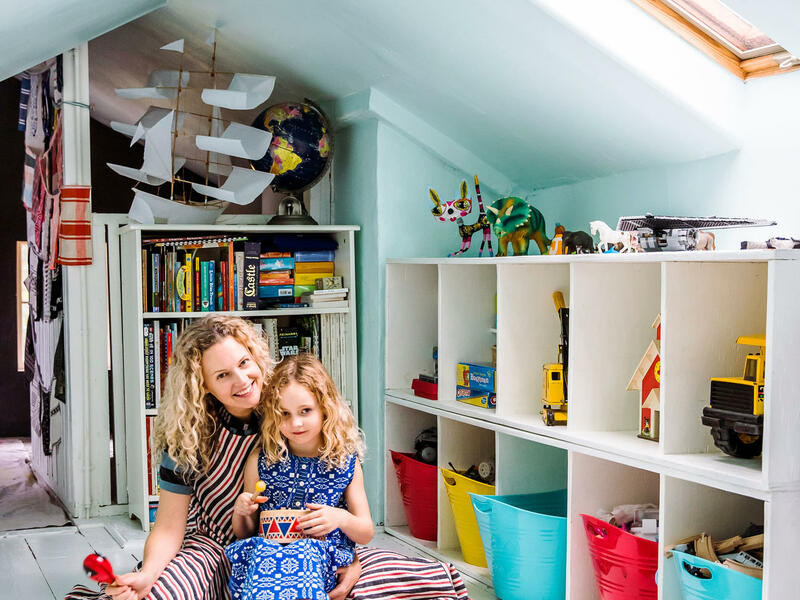 Cubbies are the heroes of preschool and can also win your playroom. Store toys in open baskets or tubs and stow them in cubby holes for a system that’s easy on the eyes and on cleanup (even for your tots). 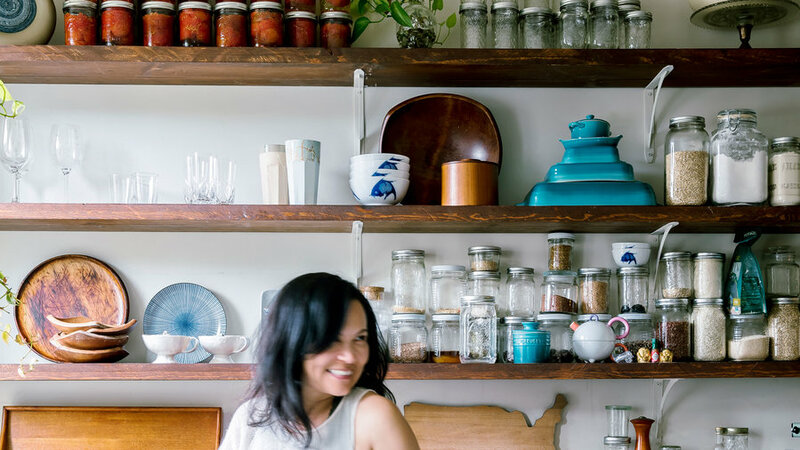 It’s time to state the obvious: When your shelves are crammed with stuff, it isn’t pleasing to the eye. Make some hard choices and pare down your displayed belongings to only the most necessary. The result will be spare and organized, and you’ll also save time rather than continuing to move items around to surface the exact one you need. 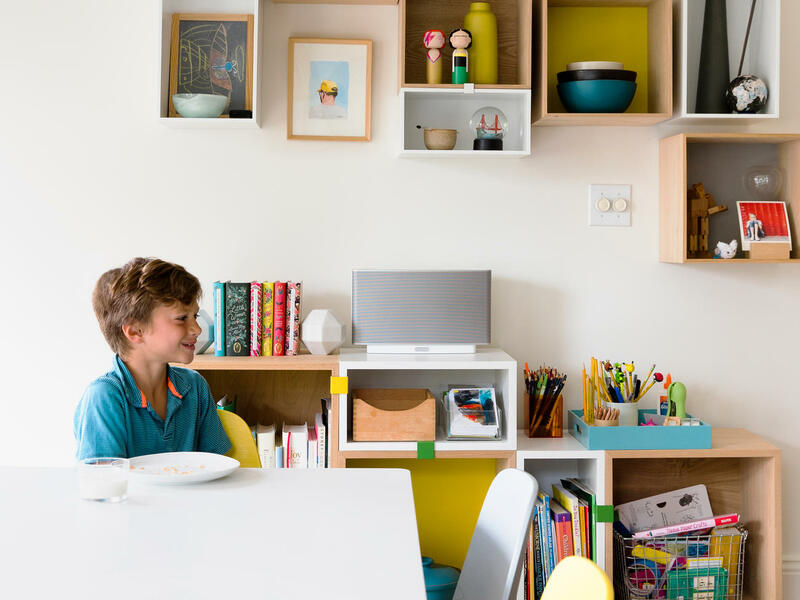 For a fun twist on open storage, consider modular shelving. Different sized units and asymmetrical placement keeps it looking interesting. Furthermore, you can alternate between keeping like items grouped together and displaying bud vases, objets d’art, and miniature framed photos or artwork. Keeping track of who has what they need before leaving the house can be a hassle. Win your morning routine by placing handy baskets in an entryway in which each family member’s essentials are stored. Choosing the same baskets tames physical and visual clutter. For habitual tea drinkers, creating a countertop station cohesively keeps all the necessities in one spot. 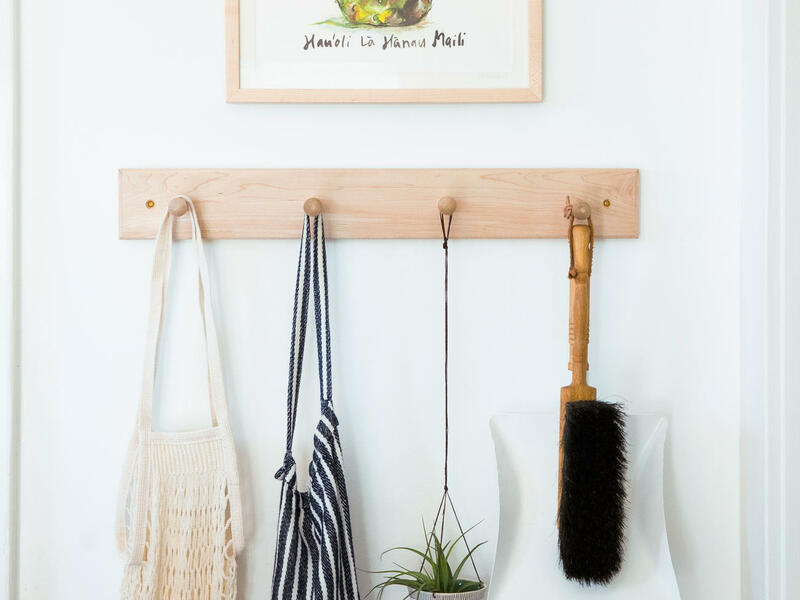 Hang mugs to save counter space for placing clear jars filled with tea bags and loose-leaf. If your home office desk lacks drawer space, you need to think creatively about how to store all your loose odds and ends. This tidy row of small baskets keeps all the unsightly items like Post-It notes, tape, pens, and the like safely stashed. 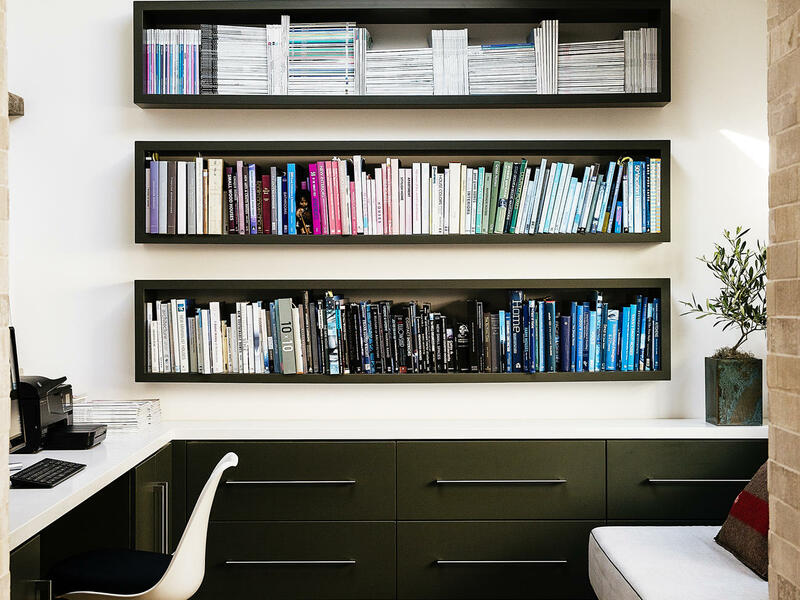 If a bookshelf takes up an entire wall, turn it into a visual statement by color coding your collection. 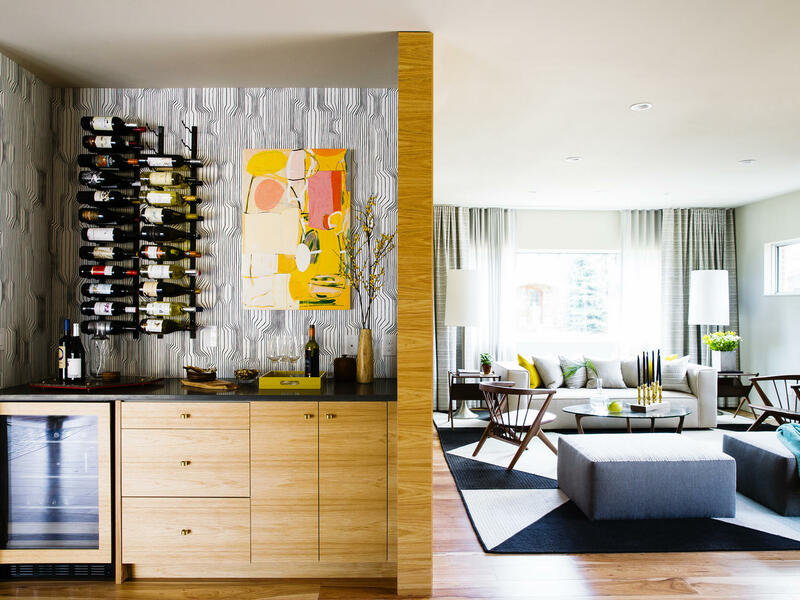 In another stroke of wall-mounted storage genius, a wine bottle collection gets stored in a smart way: in a rack above a home bar. 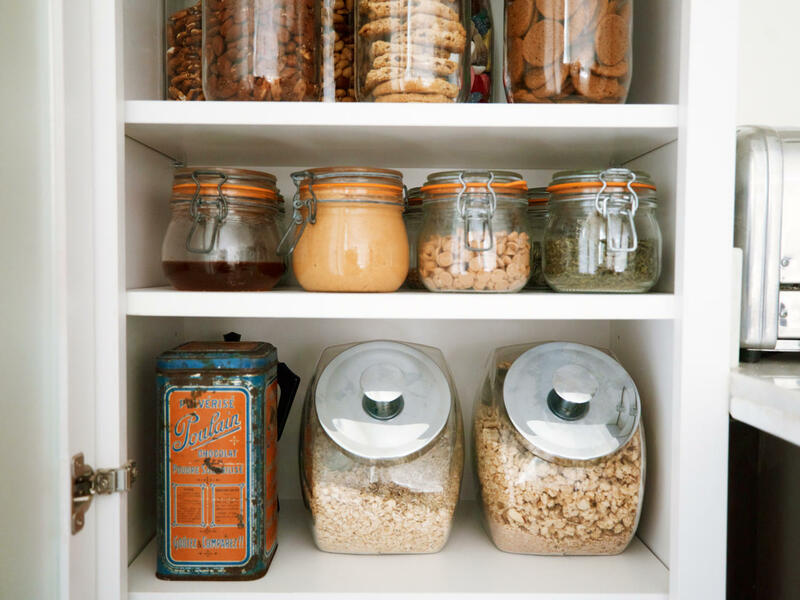 If your pantry or spice rack suffers from a sloppy look, storing bulk items or spices in labeled glass jars creates instant tidiness. 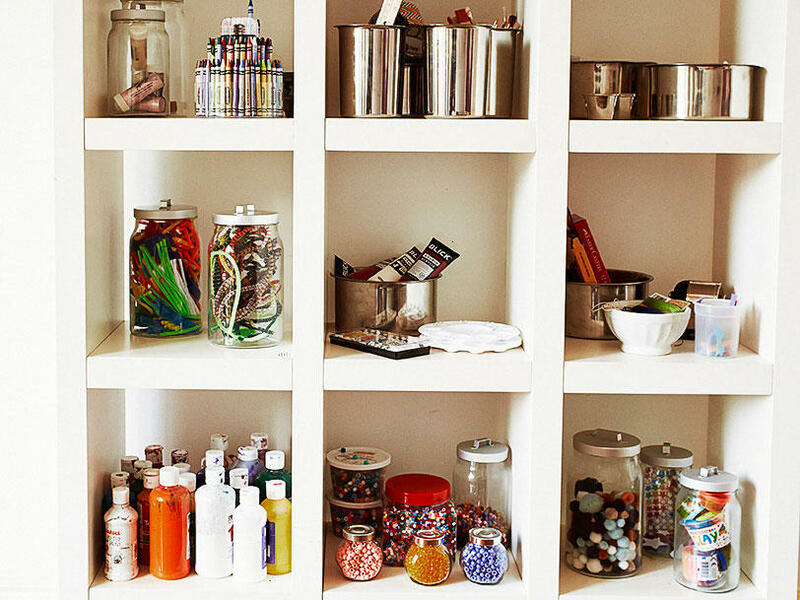 The same rule applies to arts and crafts supplies: clear bins, jars, and canisters are the perfect containers for like items and make it easy for kids to locate the pipe cleaners and googly eyes stat. A Lazy Susan keeps countertop essentials within reach. A knife block can have a large footprint in a kitchen with precious counter space. Solution: A magnetic knife strip that puts storage on the wall instead. Bonus points if your knives have matching handles, or better yet, beautifully crafted ones.